MINSK, December 30. /TASS/. Belarusian President Alexander Lukashenko has wished happy holidays to Russian President Vladimir Putin and noted that the union between the two peoples has been successful, the Belarusian president's press service said on Sunday. "In the upcoming year, we will celebrate the 20th anniversary of signing of the Agreement on establishing the Union State. 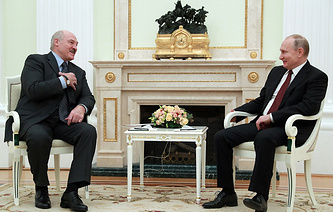 The Republic of Belarus and the Russian Federation have had an uneasy path but we can now say with confidence that the union between the two peoples has been successful," Lukashenko said. He added that further hard work on observing the national interests of the two countries in the framework of the Union State, based on deep trust and respect, will give a serious impetus to developing the whole range of bilateral relations. 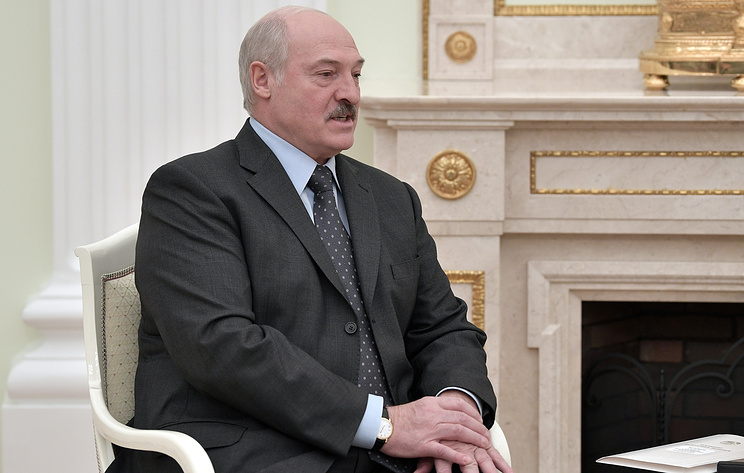 "The will of Belarusians and Russians toward unity will, as before, serve as a solid foundation for integration, multi-faceted cooperation and formation of common new history," Lukashenko said.